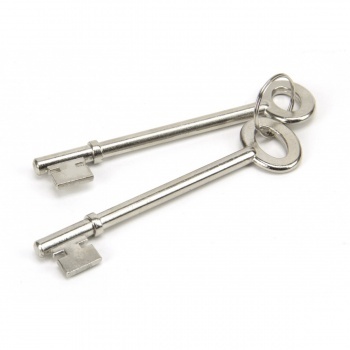 This polished brass rim lock is double handed which means it can be used as either a left or right hand lock. 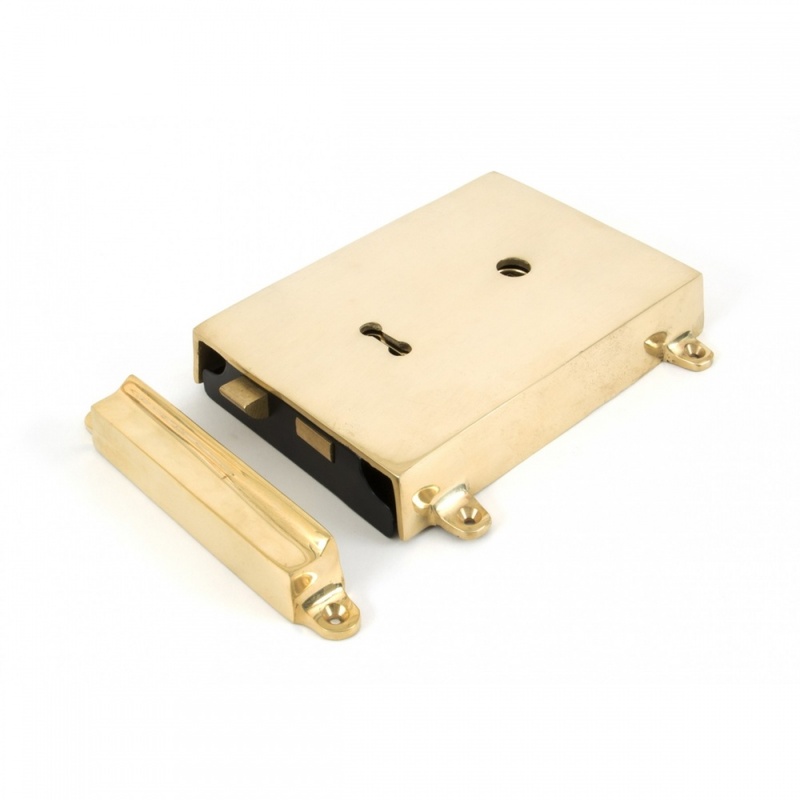 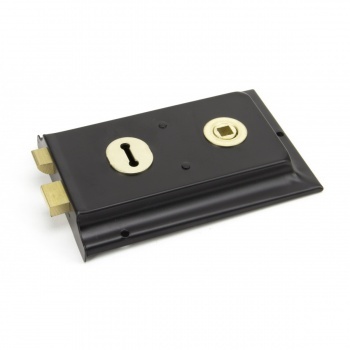 It consists of a standard 2 lever rim lock with a solid, distressed and unlacquered brass cover over the top. 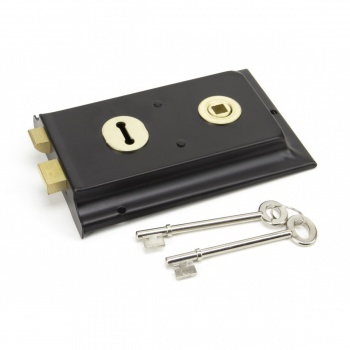 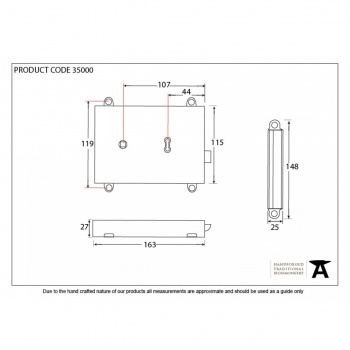 The lock mechanism is not insurance rated and is supplied with 2 keys and all necessary fixing screws.